Education information published by Statistics South Africa is mostly based on the annual General Household Surveys; the inter-censal Community Surveys and the decennial Censuses are also used to generate education statistics. These include data on education which consist of attendance of educational institutions, educational attainment, fields of study as well as literacy levels among the population. Household surveys data are important as they enable analysis of education information by households and individual population characteristics. Such data complement school and institution based data produced by the Departments of Basic and Higher Education as they provide household members background information that may influence schooling decisions. Questions used in these surveys are kept consistent to allow the use of multiple censuses and surveys for comparison over time. Thematic reports produced from these surveys contain information on a variety of subjects in the field of education statistics. 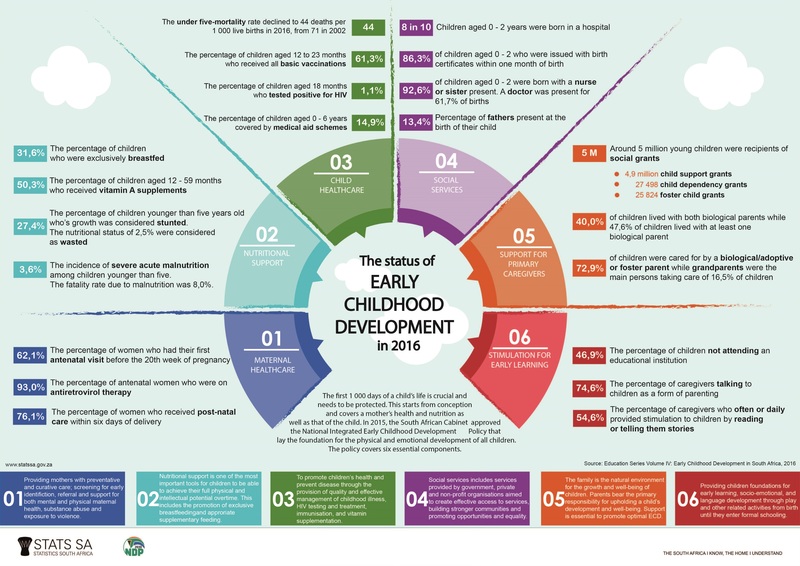 For example, the education series iii report which draws from these sources, includes information on educational attainment, literacy, average years of education received by school phases, enrolments, mode of transport used to get to educational institutions and intergenerational educational mobility. Factors that influence educational outcomes, education characteristics of the youth in comparison to their parents, and the relationship between educational outcomes of parents and their children are also provided. The average change in the prices of tuition fees for both secondary and higher education are covered by the Consumer Price Index (CPI) release. National Accounts and Government Finances. This statistical release provides economic and practical categorisations of financial transactions of higher education institutions for each financial year. Higher education institutions refers to any institution that provides higher education on a full-time, part-time or distance basis. Government finance statistics are used to (i) analyse and evaluate the outcomes of fiscal policy decisions, (ii) determine the impact on the economy, and (iii) compare national and international outcomes.